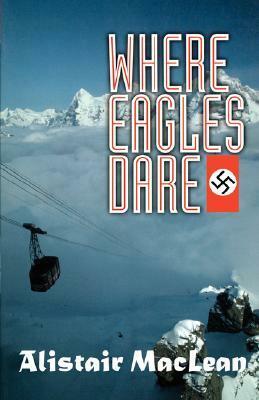 Where Eagles Dare is a fantastic fictional story of an allied infiltration behind enemy lines. It’s starring five elite commando members who parachute themselves deep into nazi Germany at the height of the second world war. Their mission is to infiltrate a high security castle situated on a peak of a mountain accessible only by gondola. It is a story of courage, deceit and irony. A great narration and vivid imagery of war-time espionage at its best. First published in 1967, it was followed up by a successful film, featuring Clint Eastwood, launched in 1968. Major John Smith: You’re late. Sometimes deceit is necessary for a greater good, but everything comes with a price. Decisions must always take this into account.